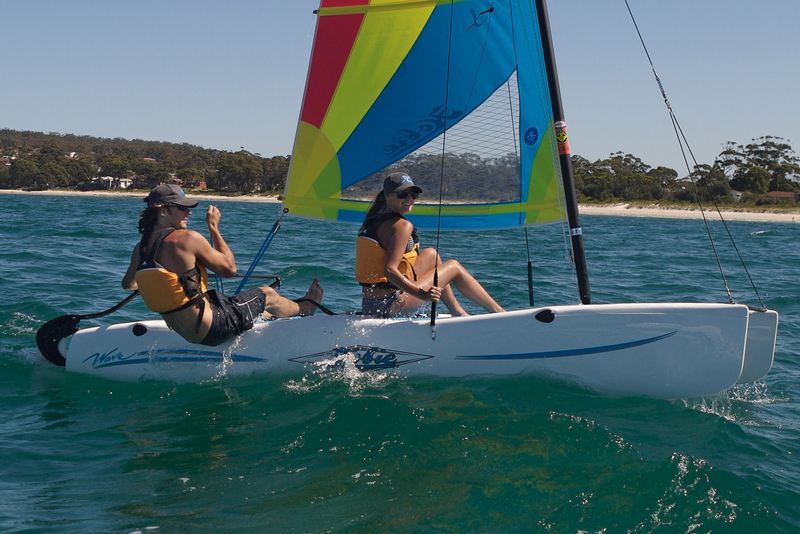 The Wave?s underbody shape eliminates the need for daggerboards, and its rotomolded polyethylene hulls are virtually indestructible, making it ideal for beginners and adventurers alike. 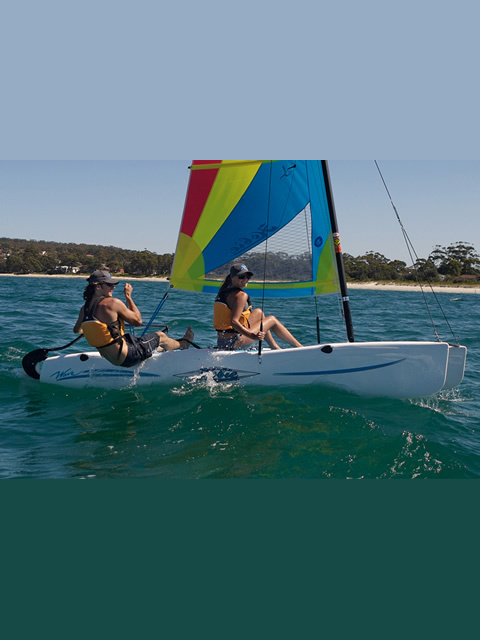 A large, fully battened, boomless mainsail provides plenty of power in the light stuff, but twists off in a breeze for added control. 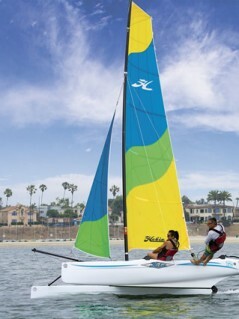 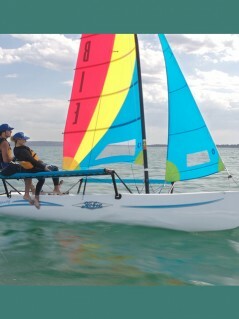 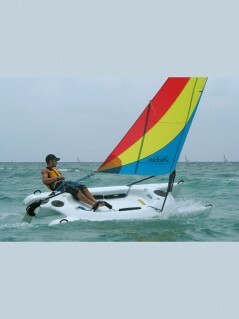 And should your rig go horizontal, the ?Hobie Bob? 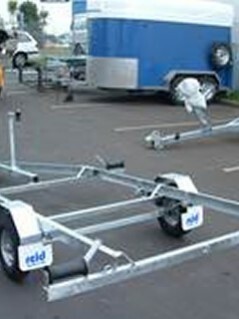 mast float makes righting the boat simple and safe.